E L I Z A B E T H L E S L I E !!! Big congrats Elizabeth, I’ll send you a little email to let you know how you can claim your sparkling new Diana F camera from the good guys at Lomography. Looks like it’s going to be a super sunny day so I’m going to take my Diana to the seaside. 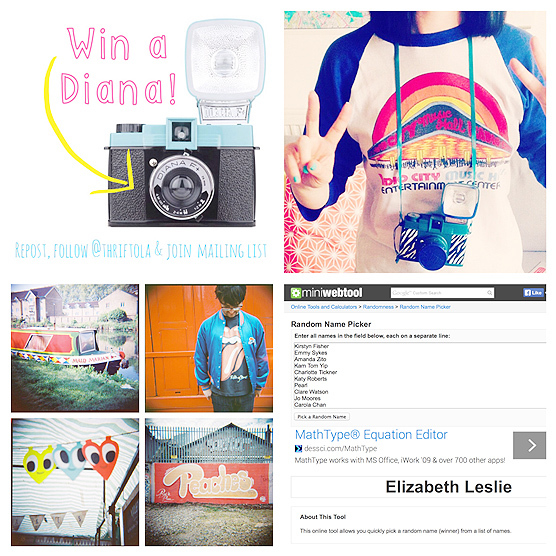 One Response to Lomography Giveaway Winner Announced! Thanks so much. So excited to receive this, can’t wait to take it on holiday with me!